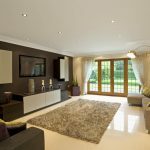 You can be sure your Winston-Salem home has the best indoor air quality possible with our efficient and effective HVAC cleaning services. Having a clean home isn’t just about it looking nice — It can also be about keeping your family healthy. 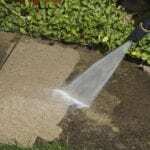 Here at Steam Source in Winston-Salem, North Carolina, we offer a variety of cleaning services that can accomplish these goals. 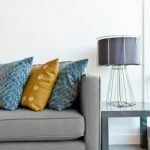 One area you may not have thought about that can get rather dirty because it is out of sight is your home’s HVAC system. Our HVAC cleaning services can make a big difference for your home. HVAC cleaning includes making sure the air ducts and vents are free from debris, buildup, and other contaminants that can affect the indoor air quality of your home. Many of these contaminants can aggravate respiratory conditions, like COPD, allergies, and asthma. Some contaminants can even lead to health complications. By calling us for HVAC cleaning, you can have peace of mind that your home is clean right down to the parts you can’t see. Another thing you can have peace of mind about is the quality and professionalism of our technicians. Our uniformed technicians have been properly trained to conduct HVAC cleaning, and we have a strict employment practice that includes a background check, driving record check, and drug screening. In addition, our company is fully insured and bonded. With this level of attention, you can feel confident having our technicians in your home. Our main goal with HVAC cleaning and all our cleaning services is to make sure you are 100% satisfied with our work. We provide a free 15-day warranty on all our services, so if you determine we’ve missed something, just give us a call and we’ll return at no additional cost to you. Contact us today to schedule your HVAC cleaning! 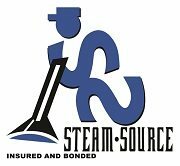 At Steam Source, we offer HVAC cleaning services in Winston-Salem, Greensboro, Kernersville, Clemmons, Advance, High Point, Mocksville, Pfafftown, Jamestown, Oak Ridge, Summerfield, Lexington, King, Walkertown, Colfax, Lewisville, Welcome, Bermuda Run, Thomasville, Yadkinville, and Walnut Cove, North Carolina.